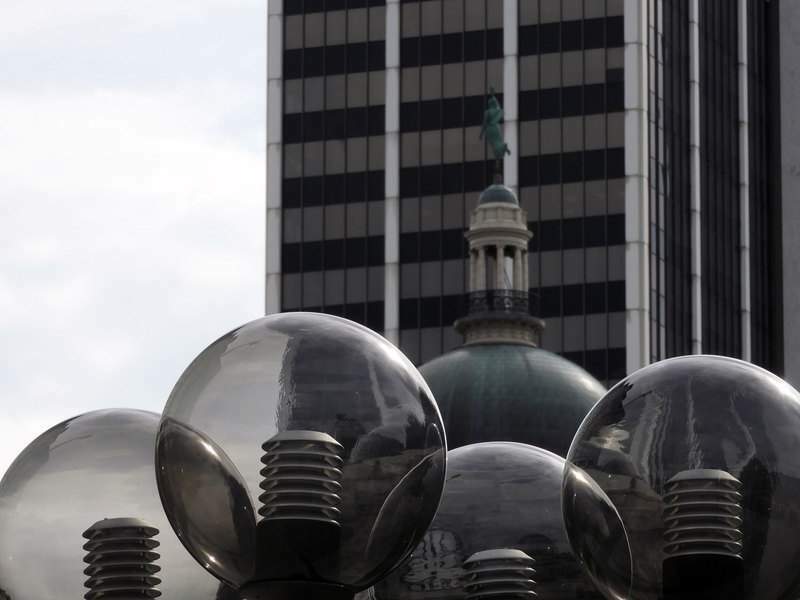 Photos courtesy Nikola Olic A street lamp near the Fort Wayne Museum of Art, the Allen County Courthouse dome and the PNC bank building blend into layered curves and lines. 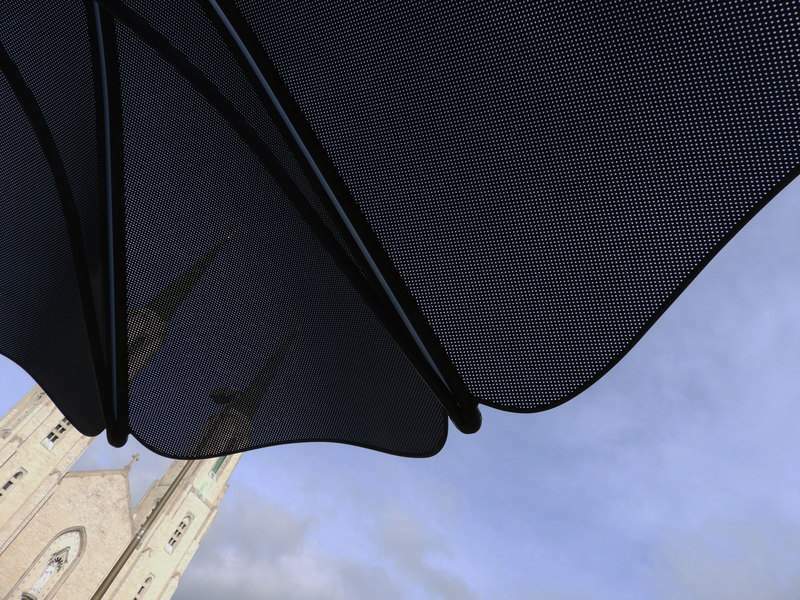 A sunshade seems to dwarf the Cathedral of the Immaculate Conception on Calhoun Street. The curve of the Allen County Public Library's Ewing Street entrance contrasts with the soaring lines of the Indiana Michigan Power Center. 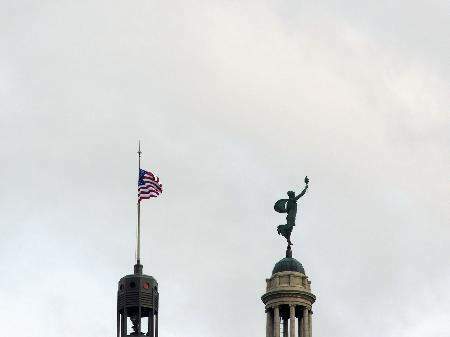 A dome on a building across from the Fort Wayne Museum of Art shares its elevation with the American flag a few blocks over. 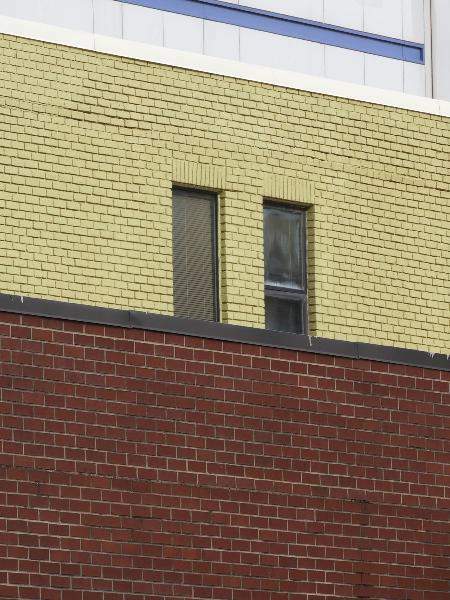 Building facade segments, close to each other but different, offer some color on a cloudy day. 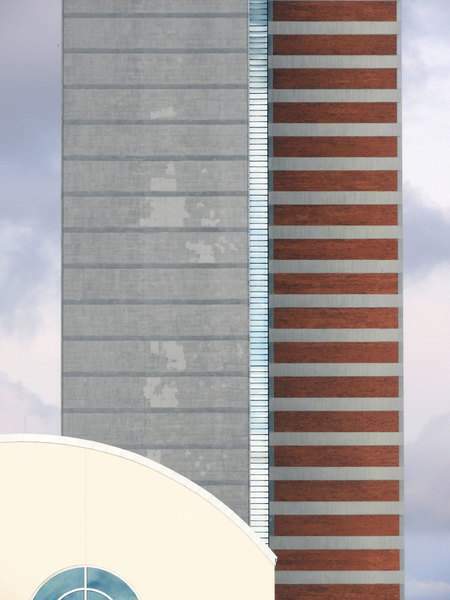 An unusual building at the end of a city block curves slowly through the 90-degree street turn, offering unique views of its windows. 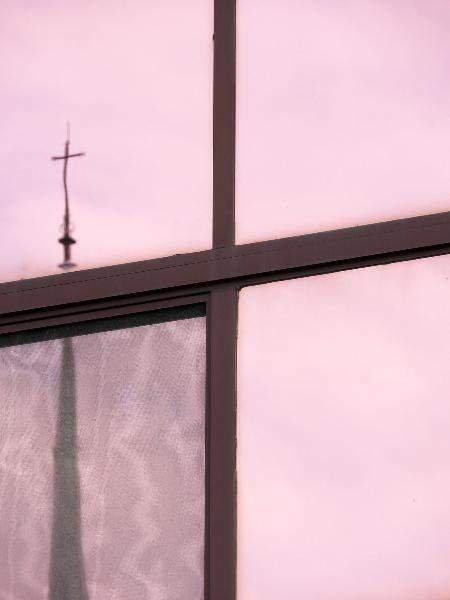 A cross in a cross, reflected on purple windows. 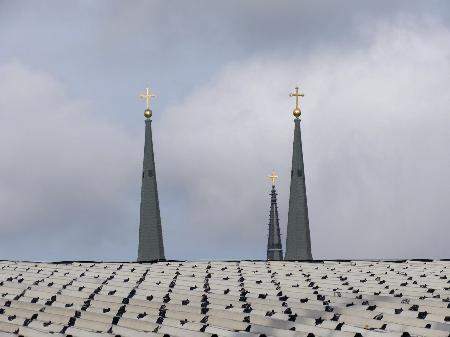 A parking garage roof offers a dramatic baseline for viewing church steeples a few blocks away. 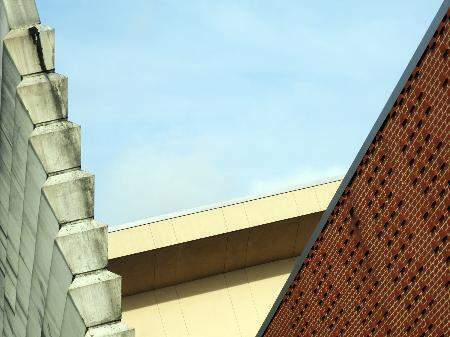 A colorful wall and a structurally layered wall, sharing space with the increasing cloudless sky. A previous online version of this story misidentified the gender of photographer Nikola Olic. His visit to this corner of northeast Indiana was because he is one of more than 30 artists whose photography work is on display at the Fort Wayne Museum of Art. 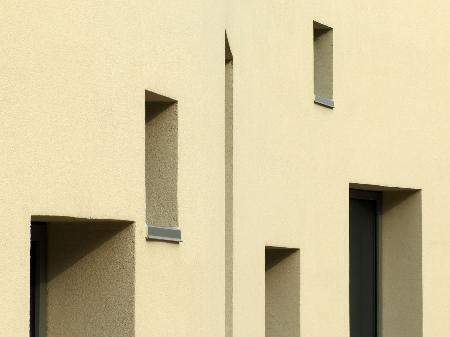 While here, Nikola Olic said he spent about 90 minutes taking photographs in the city, with special attention to structure and interesting angles. Olic is an independent Nikon world photographer based in Dallas. The art museum's “The National: Best Contemporary Photography 2018” exhibition opened April 21 and closes Sunday. Olic, in an email, said his photography has appeared in galleries, art events, other museums, magazines, newspapers, spaces and websites around the world, including Wired.com, The Guardian, CNN, and Yahoo.com. The type of images he captured in Fort Wayne are similar to work he has done in other cities. “These are intended as demystifying tools essential to abstract photography, reminding that these subjects – beautiful or otherwise – are on every corner, in places we visit and places we live in,” Olic wrote.